Ludwig van Beethoven (1770-1827) was instrumental in the evolution of music during the Classical and Romantic eras. The Piano Trio in B-flat major, Op.97 (known as the 'Archduke' Trio) is one of Beethoven's most lyrical and beloved works. It was completed in 1811 and received its first public performance by Beethoven himself with friend and teacher Ignaz Schuppanzigh on violin and composer Josef Linke on cello at the Viennese hotel Zum römischen Kaiser on 11 April 1814. This was a time in the composer's career where his hearing impairment increasingly affected his ability to perform, and it was shortly after this performance that Beethoven chose to withdraw from public performances as a pianist. That didn't stop his piano trio becoming one of the composer's most iconic pieces of music from his catalogue. Pianist Benjamin Martin explores the 'Archduke' Trio movement by movement below, before being joined by violinist William Hennessy and Singapore-based cello star Li-Wei Qin for an intimate performance of the trio for Melbourne Chamber Orchestra's Salon Sessions this September. 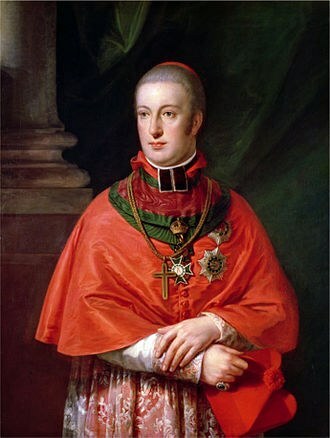 The 'Archduke' Trio is known by the title of its dedicatee, Archduke Rudolf of Austria (1788–1831)although there are fourteen compositions that Beethoven dedicated to the Archduke in total. (The Archduke dedicated a work to Beethoven in return; it is not as well remembered by audiences.) Rudolf was an enthusiastic amateur pianist and a friend, patron and composition student of Beethoven. The first movement (Allegro moderato) opens with a heartfelt melody over a gently rocking bass played by the piano, which in turn is handed over to the violin. The beauty and rhapsodic nature of the theme itself, not to mention the nature inspired feel of the movement, belies the complexity of the work’s underlying structure - which evolves almost purely out of the theme’s material - a point so intrinsic to Beethoven in general. The second movement (Scherzo: Allegro) also in B flat, is a charming, lilting dance, toying somewhat with one’s sense of where the downbeat lies. This quirky feature is developed further in the searching, occasionally volcanic middle section, whereby the piano introduces a new, Polonaise-like theme that uses a hemiola. Although continuing in a tonic key—this time in D major—the opening bars of the slow movement (Andante cantabile ma però con moto. Poco piu adagio) possess an emotionally-charged quality that is quite indescribable. The movement itself is comprised of five variations, which, if anything, explore the opening mood in increasing depth: the penultimate and final variation have an ecstatic quality. In the most whimsical of ways, the finale (Allegro moderato – Presto) returns to life’s simpler things — its pleasantries, customs and graces — with a mood that touches on nostalgia. There are moments of drama and insistence however (for Beethoven was not one to drift for an inordinate length of time), as well as grief. The work ends with a tarantella based upon the finale’s theme, a whirlwind of distant echoes and playfulness. Experience Beethoven's iconic 'Archduke' Trio live in the intimate surrounds of the Salon on Tuesday 18 September with MCO Salon Sessions featuring pianist Benjamin Martin, violinist William Hennessy and Singapore-based cello star Li-Wei Qin.